At Akumal Beach Resort, we perfectly know that this special day must be unforgettable and reflects your own dreams and expectations of the perfect wedding. This is why we created an extensive menu of options for you to choose from the very best that we have to offer. SPECIAL OFFER GET FREE NIGHTS FOR YOUR FIRST ANNIVERSARY WHEN CELEBRATING YOUR WEDDING WITH US ! -Includes set and decoration on the beach, ceremony with Minister, CD/MP3/IPOD player, Bride´s Bouquet and Groom´s boutonniere, Couple´s in room amenities. 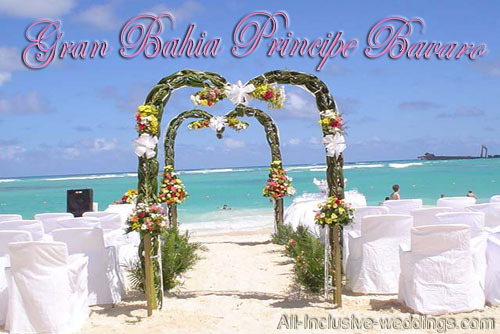 Includes set and decoration on the beach, ceremony with Justice of Peace, CD/MP3/IPOD player, Bride´s Bouquet and Groom´s boutonniere, Couple´s in room amenities. Includes all natural elements for the ceremony with Mayan Shaman, Bride´s Bouquet and Groom´s boutonniere, Couple´s in room amenities. Packages are based on all guests staying at the Resort. An extra cost apply for guests from outside the hotel to attend the ceremony and/or dinner (contact us). Analysis, legalization and translation of the wedding certificate and sending to the couple´s home are not included (mandatory for a legal wedding). Contact us. Decorated wedding cake & toast with sparkling wine for the couple and all guests. Private dinners are served in one of our restaurants with a Mexican or International buffet. Special menus can be served with extra cost, ask us. All prices are subject to change and availability. Accommodation is not included. Every basic package includes the services of a wedding coordinator. Please, contact us for special conditions, restrictions, additional services and reservation/cancelation policies.